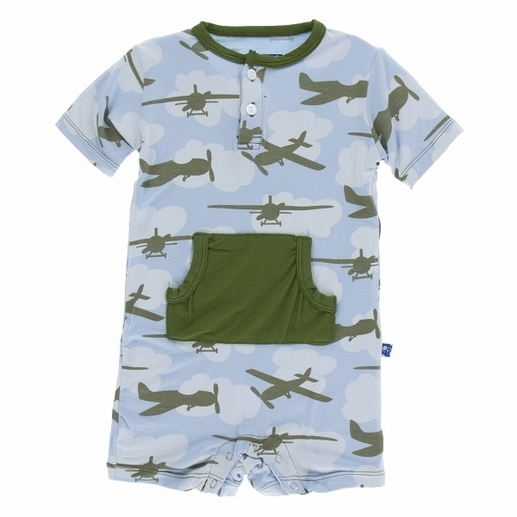 This cute kangaroo romper in Pond Airplanes features a large front pocket and is shorts length. Bamboo is perfect for children with sensitive skin and allergies. 95% bamboo, 5% spandex by Kickee Pants.